You all know I think writers should use Twitter. And Facebook. And other social media that helps you create your own community. Here’s yet another reason you should use Twitter: that’s how I connected with my agent. Well, not directly. I have long followed Rachelle because her tweets about publishing are helpful and entertaining. But the connection I made on Twitter that led me to Rachelle was not the agent herself. It was another writer. That’s right, folks! A Twitter friend — who became an e-mail and phone friend — put me in touch with Rachelle. I connected with this author about a year ago for the same reason many of you connect with certain tweeps: we have stuff in common. We both have a background in journalism, and we’re both working on memoir projects. After chatting occasionally over e-mail for several months, this tweep offered to critique my book proposal. Since she’d written many successful proposals herself, I jumped at the chance. I didn’t know this then, but this tweep happens to be friends with a literary agent: Rachelle Gardner. During a conversation with Rachelle, she mentioned my book, which, of course, she knew a lot about since she’d read my proposal. And whatdoyaknow, Rachelle was interested. I’m now her client! Every connection helps, even — or perhaps especially — connections we make for fun. If you’re not on Twitter, do yourself a favor. Join. The best things in life happen when we take chances. We all know it, and yet it’s still scary to leap into the unknown. During the last two years, I’ve taken a lot of chances. I left a reporting job I loved. I traveled alone in Africa. And I put off full-time employment to write a book. Each time, I was scared. Was I making a mistake? Would I find my way on my own? Was it worthwhile to spend a year on a book without knowing whether a publisher would put it on store shelves? Since some non-writers read this blog, I should offer a little background here. A literary agent works on the author’s behalf to sell the book to a publisher. Most authors use agents rather than contact publishers themselves because agents 1. have contacts at publishing houses 2. know how to approach those publishers and market the book and 3. have the skills and knowledge to negotiate the best possible book deal. In return, they get 15 percent of what the book makes. Some agents also play an editorial role, helping authors edit the manuscript and proposal before submitting to publishers. Part of the reason I’m so psyched to work with Rachelle is because she’s dedicated to helping me improve what I’ve written so far. She’ll also support me in my writing career going forward, representing me not only for this book, but for other books I write in the future. If you follow Rachelle’s blog and Twitter feed, you know she represents books with a Christian slant and makes a lot of sales to Christian publishers. Wait… Did I forget to mention that my travel memoir is about finding God? Kidding! My manuscript touches on spirituality and religion, but on the whole, it’s about as secular as books get. Lucky for me, Rachelle is expanding her client list to include authors who write mainstream books. Up next: polishing the manuscript. When it’s ready, we’ll submit to publishers. And while I have faith in Rachelle’s ability to sell my book, I know I’ll probably face my share of challenges and rejection before this book hits shelves. That’s a risk I’m willing to take. Because we all know the best things in life happen when we take chances. One of the perks of joining a writing critique group is meeting and learning from other interesting writers. Today our guest is my critique partner, Peggy Frezon, a writer who specializes in pets. Like me, Peggy is a first-time author. But she’s several steps ahead of me in the process; she has already completed her manuscript and signed with a literary agent, who is about to submit to publishers. Her book is about dieting with her dog. Peggy has a rather unusual story about how she ended up with her agent, which is why I’ve asked her to join us today. When it comes time for me to seek out my own agent, I’ll keep in mind what I’ve learned — what you’re about to learn — from Peggy. Welcome, Peggy! How’d you get your first offer from a literary agent? I had an article in a magazine I write for regularly. The end of the article included my bio, which mentioned that I was working on a book. An agent noticed, and contacted me, asking if I’d send the proposal. At that time, I wasn’t finished writing the manuscript, and hadn’t planned on contacting agents yet. This was my first contact with an agent of any sort, and I was beyond excited! A little later, another agent contacted me. Agent #2 was referred to me by an editor of a magazine. I know, I was shocked! Two agents contacting me, and I hadn’t even finished writing the book. Although it was exciting, that wasn’t the way I expected it to happen. It just goes to show that there is no typical way to get an agent. I really hadn’t even begun thinking about agents, since I was still working on the writing part. So my first advice is, it’s never too early to start thinking about agents. I finished writing the book in about three months, and sent it off to both agents. There was some communication, but no contract offer. So after both agents had the manuscript for about a month, maybe more, I figured neither one was interested. I sent a query to a third agent. Wouldn’t you know, about two hours after I sent that query, I got an offer from Agent #1? I was flattered, but also confused. Shouldn’t I fully consider the other agents too? So I wrote to Agent #2 and said I had an offer. This agent called me back and made me an offer right then and there on the phone. Then I wrote to Agent #3, who had my query, and explained the whole situation. She asked for my proposal and sample chapters and was kind enough to read them immediately. She also made me an offer. Okay, so how did you choose one? Although I had previously only dreamed of having an agent, now that I had offers I was confused. And honestly, freaking out. I had three great offers but which one was right for me — a large agency? A smaller boutique agency? And how would I know? Eventually, I went with Agent #2, from a large agency. I chose this agent partly because I was impressed by the many bestselling books the agency represented. The agent was enthusiastic about my work. And, the agent came referred by someone I trusted. I was excited, but it also felt awful turning down the other agents. Memoir includes elements of both nonfiction and fiction, as I’ve discussed before on this blog. While literary agent Miss Snark calls it a pesky category buster, until today I was ready to call it the forgotten genre. Although literary agents seem eager to represent memoir, most don’t specifically address the genre or its submission guidelines online. So when literary agent Rachelle Gardner called for questions on her Rants & Ramblings blog, I jumped right in with inquires about memoir. Today she answered them! I’ll paste part of her post here, but for her full answer and readers’ comments (which are quite helpful), check out the entire post on memoir guidelines. Alexis Grant asked: Would you consider a post on memoir guidelines, since memoir falls somewhere between fiction and nonfiction in many ways? For my travel memoir, should I query when I have a proposal and several sample chapters, like nonfiction, or wait until the manuscript is complete, like fiction? What’s the usual word-count window for memoir? Are there any other areas—aside from reading like a novel—where I should follow fiction guidelines instead of nonfiction? Great questions! I think memoir requires the most out of a writer, because it’s non-fiction, so platform matters. But it’s also story-driven and the writing is the most important aspect, so it requires the level of attention to the art and craft of writing that fiction does. I don’t think there’s a hard and fast rule about whether to query with sample chapters or a complete manuscript. With a first-timer, I always prefer to read the whole thing before I make a decision whether to take it on. At the very least, I want to read three or four chapters, and perhaps rough versions or outlines of the remaining chapters. I DO recommend finishing the manuscript before you query. Like with a first novel, you are going to discover so much in the writing process. I believe your book will morph and evolve throughout the writing, and so those first few chapters, though written, will not actually be complete until you’ve finished the book. A memoir is a work of art much more than the typical non-fiction book. If you don’t read Rachelle’s blog, start now. It’s worth your time! 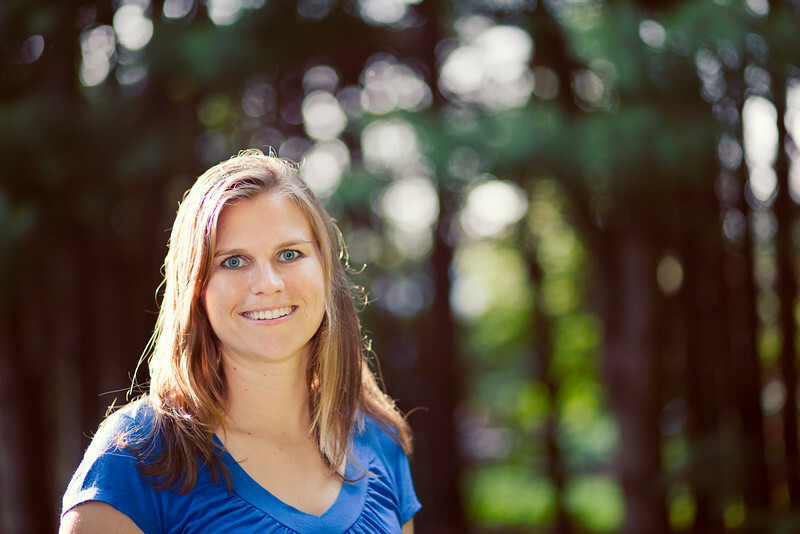 Literary agent Rachelle Gardner: You’re reading my blog, aren’t you? Gardner blogged this week about the importance of not putting the cart before the horse. In other words, writers need to get their writing up to speed before worrying about the details of publishing. The post seemed like it was written for me. Until a month ago, I was so focused on learning about publishing and researching literary agents that the actual writing had fallen a few rungs down on the priority list. But that’s changed, and now I’m really making progress on the manuscript. Admittedly, I should have spent more time writing all along, but I don’t regret researching the industry. As a result of that research, combined with completing my book proposal and outline, I now know what I’m doing and where I’m going. To celebrate this progress, I sat down yesterday to calculate exactly how much I’ve written. It’s more complicated than it sounds because I write in pieces, out of order, using my outline as guidance. I’ve completed drafts of two full chapters, but the rest of my finished pages are scattered all over the manuscript. According to my outline, my manuscript will be about 350 pages. By my count yesterday, I’ve written 133 of them. That means I’ve drafted a third of my book! Now that I’m chugging along, I’m ready to set a new goal for myself: Write four pages each day (about 1,200 words). If I stick to that regime every day, including weekends (Yes, I write on weekends), I’ll have a rough draft of the manuscript in two months. If I have to write this entire book before submitting it to agents, so be it. During an Editor Unleashed forum on Wednesday, literary agent Jessica Faust critiqued my query (the same query I shared with you in a previous post). Never start out with “hoping I’m the right agent” it gives the impression that you really haven’t done your research. Remember when querying agents that you need to think of it as giving us the honor of reading your work. In other words, come on strong and sure. I’m excited to tell you about my travel memoir would be more appropriate. I’ll decide if I’m the right agent, but you don’t want to give me an easy out. You’ll also want to make sure that somewhere in there you have a word count. In the second paragraph you describe your book as poignant and yet I get no sense of poignancy in your voice. Anytime you’re describing your work as something–humorous, poignant, suspenseful–you need to show in your voice that it matches the description. As you’ve written it here it feels very stiff and, frankly, not special. What about your book makes it different from the many other travel memoirs currently on the shelves at bookstores. Did you find adventure? How will it inspire readers to take those leaps? All of this needs to be shown. I would skip revealing your age as well as the fact that you’re full of potential and good at editing. That’s always assumed. Let that show in your writing. As if today wasn’t exciting enough with the news that journalist Roxana Saberi was released from prison in Iran, a literary agent contacted me, out of the blue. Unfortunately, she didn’t want my book. She wanted Roxana’s. Roxana hasn’t even written a book yet (although she was working on one about Iranian culture when she was arrested). Who knows if she plans to write about her experience in Evin prison. But if she does, she’s got a literary agent — probably many agents — waiting for her. Of course, it’s easier to sell a book if you’re famous. But I think there’s another message in this: If you’ve got a fabulous idea, a super story to tell, you can create a book that will sell.